It will be alright, trust me. Hello there! As promised, today’s post is dedicated to how you can enter the field of dietetics at any stage of life, no matter what you’re area of expertise may be. It’s not an easy path, and it will be costly, but in the end if it’s truly what you want to do – well, then go for it! If there’s one thing this transition has taught me, it’s that things do work out eventually. Even if it takes a little bit longer than expected. As long as you’re confident about the choices you’ve made, and are determined to do what you want to do, you’ll make it. Don’t mind me over here. Sometimes I have to give myself pep talks. In my running theme of honesty, being a grad student has been one of the scariest, most insecure times of my life. That’s your twenties for ya (am I right fellow twenty-somethings?). So when I came to the end of my time as a student in biology and realized that nothing in the field really interested me, I panicked. Briefly. It was half way through my senior year when I determined I really wanted to go into nutrition. After years of bouncing through different career options, this was when I finally found a path that I felt I would fall in love with. That’s when I realized just how much work you had to do to even become a dietitian. How the heck was I supposed to do this? Because I already had a bachelor’s degree I was not particularly keen on going back to school for a second bachelor’s. After a bit of hard researching I was able to find a program that would allow me to achieve a master’s of science in nutrition, as well as the dietitian certification. My program allows me to complete the track I mentioned in last week’s post (here) in three years (four in my case since I want a master’s). Two years will be spent completing the DPD program (only a year and a half left at the moment! ), after which I will apply to an internship (and hopefully get in! ), complete my internship in another year, and take my test (becoming a certified dietitian!). After that, I will complete my master’s in nutrition in another year because this program is set up where the internship and master’s flow together, and only an additional year is needed. It was not the easiest feat to find a program, but I do promise they are out there! Google became my best friend for awhile (who am I kidding, Google is always my best friend). Another really great resource was the Academy of Nutrition and Dietetics website. They have a master list of all the accredited programs in the nation. A particularly helpful bonus was the ability to narrow down the list based on location, type of degree granted, and type of program (online or on-campus). Some have a coordinated master’s and DPD approach – which does take less time – and I applied to those schools as well, but the one I chose worked out better for me in the end. The most interesting part about it is that I’m not really a traditional student anymore. And all of us “post-baccs” are in such unique and different situations that it’s been really fantastic meeting everyone and learning from their different life experiences. In a way I’m glad that I didn’t decide to go into nutrition five or six years ago (I still can’t believe it’s been that long). Despite the extra cost and stress, I think in the end I’ll get more from my experience now than I would have if I was a traditional student. It’s a richer learning environment, which I’m starting to appreciate as I get older. Start looking at accredited nutrition programs and find out what classes you would be required to take, especially the supporting science courses, stats, etc. Take these courses, if you can, at your undergraduate college. Finding programs that have some sort of combination really helps minimize the extra time you’ll have to be in school to achieve that RD credential. To really determine if nutrition is right for you, think about doing some volunteer work in a variety of settings – I’ll talk more about this later, but it really does help. I hope this helps those of you who may be facing a similar struggle to mine. In the end it works out, so just remember that as long as you’re determined you will achieve it! 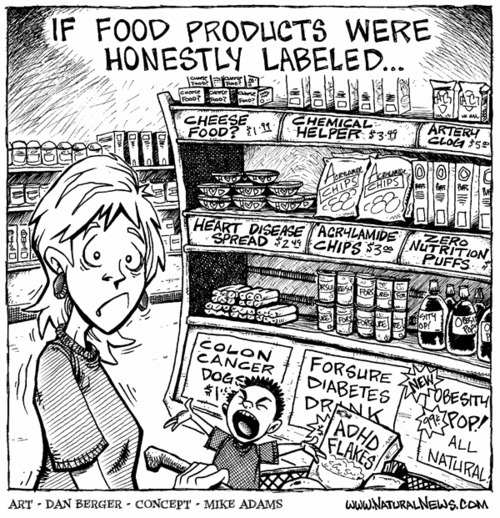 Question of the week: what do you think the impact of truthfully labeling food products would be on the average consumer? It’s going to take a lot, if you’re up for the challenge. Hi again! I hope you’ve all been having a great week. In this post I wanted to talk a little bit more about the path to become a dietitian because it can get quite complicated. My particular path is slightly more complex than what I’m going to detail today, but don’t worry. We’ll get into that in my next post. And without further ado, let’s talk about what it takes to become a registered dietitian (RD) or registered dietitian nutritionist (RDN). First thing to do: enroll in a nutrition program that has been accredited by the Accreditation Council for Education in Nutrition and Dietetics (ACEND). If you check out the Academy of Nutrition and Dietetics (AND) website you can find accredited programs across the nation that fit your specific criteria for college. They are handily found under the “Become an RD/DTR” tab. It’s imperative that you enroll in an accredited program. There are a number of core competencies and fundamentals that must be met through the various nutrition courses and supporting science courses you will take. This is otherwise known as the didactic program in dietetics (DPD – there sure are a lot of acronyms aren’t there?). Once you’ve toiled away through your program, the DPD director will issue you a verification statement. This is necessary to participate in the dietetic internship (DI); the practical experience portion of your dietetic path that culminates to 1200 hours or more. You have to apply to various programs that best suit your specifications and perhaps what you’re interested in practicing as a dietitian. Again, the Academy’s website has a whole list of accredited programs you can access. I’ve heard that application time is one of the most stressful times on this path (not to mention the wait to hear back from the programs you’ve applied to). While it will be challenging, it will also be rewarding. There’s only so much you can gain from the classroom; practical experience shapes you in such a way that you’ll feel completely confident about becoming a licensed dietitian. That’s me throwing a bone, but I can only imagine it to be true. Ok, you’ve gotten accepted to your internship program (yes! ), you complete your program (even better! ), now you’re finally (finally!) ready to sit and take your exam. 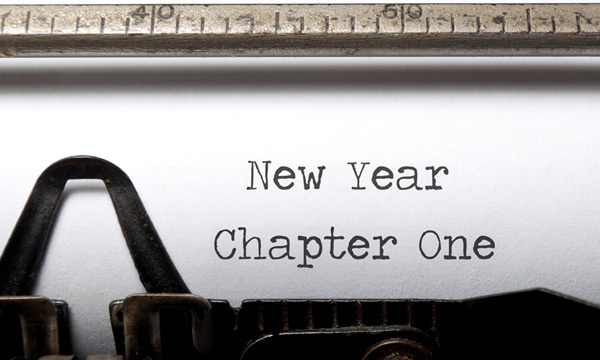 With luck on your side and a bit (or a lot) of studying – you’re a dietitian! Some of you may be wondering what the difference is between a nutritionist and a dietitian – the answer is simply what I’ve explained. 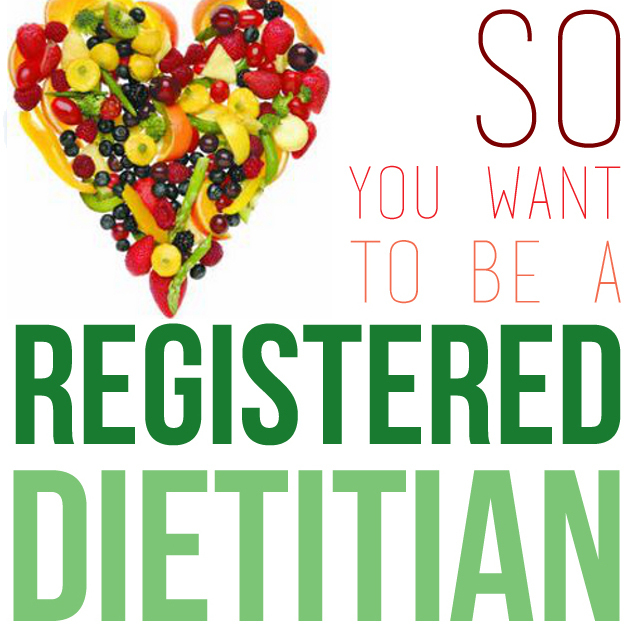 A dietitian is credentialed (look for the RD or RDN after their name). They’ve gone through this rigorous program to achieve their end goal. And, even after the years of college and training, they have to stay up to date and maintain continuing education credits. They never stop learning about the best ways to help others live healthy lives. This is one of the reasons I love the field. Basically, if you’re looking for sound nutrition advice, ask the individual about their credentials. Because I don’t want to make this post too long, look for next week’s where I’m going to talk about how the path of becoming an RD can happen at any phase of life. There are ways to do it. So if you, like me, decided late in the game that you wanted to become a dietitian, I’ll tell you all about how it will be alright. 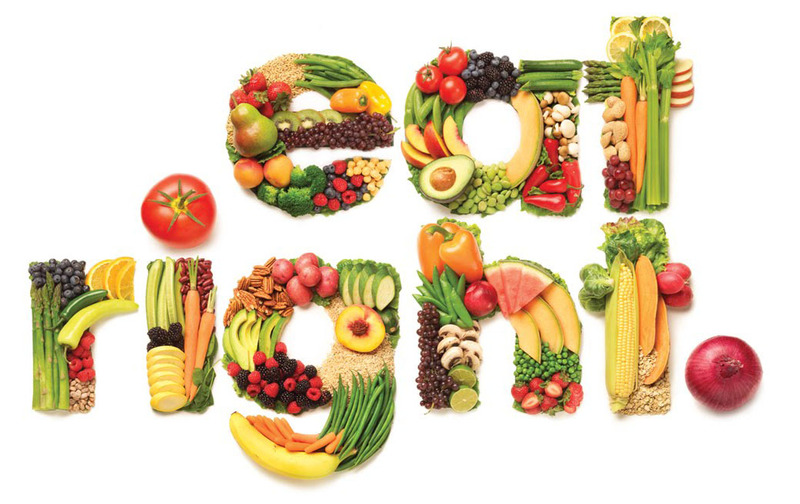 Question of the week: when you think of a dietitian, what are the first thoughts that come to mind? Hello internet and welcome to this lovely corner of the blogosphere I call my own! A long time ago, before I even selected “biology” as my intended major on college applications, I found myself really intrigued by the nutrition and fitness world. That’s probably thanks to Cassey Ho of blogilates, if I’m honest. I entered into this world in an unhealthy way. After a comment made by a then-very good guy friend (my thighs were really “muscular” – body image and weight will be a whole other post, trust me) I started restricting what I was eating and working out more frequently than I had ever before. The last half of my senior year of high school I had limited myself to eating certain foods, adopting a rigid pattern of what I ate for breakfast, lunch, and dinner; and on top of that I was a student athlete, but track practice wasn’t enough. I worked out on top of that. At the time it was never diagnosed as an eating disorder, but looking back on it I realized I was displaying those tendencies – had I let it progress who knows where I may have ended up. Out of these unhealthy tendencies an interest in nutrition and fitness was born. I should probably say a healthy interest in nutrition and fitness. And then, at seventeen, I thought hey, maybe I can be like Cassey Ho and do stuff on YouTube and generally be a super-cool online presence spreading all that nutrition and fitness knowledge (and here I am six years later haha). After looking into a career in nutrition, but clearly not in an in-depth way, I thought a nutritionist didn’t make enough money. We can talk about all of the different career options that are open to a dietitian later, but needless to say that it is truly not what I thought it was when I stumbled across it six years ago. A couple years later, after three and a half years as a bio major and realizing there wasn’t anything in that career path that interested me, I stumbled back into it. It was almost a spur of the moment thing, deciding to pursue this path even though it would be an additional few years. But, I was absolutely determined to do it. Now, I’m a graduate student in the nutrition program, doing what I love in a way that’s such a different experience from my undergraduate years. So far I have found the field to be such a unique and diverse environment from anything I’ve ever experienced before. On top of that there are just so many options and so many paths to choose.